This wallet is constructed of durable ballistic nylon. 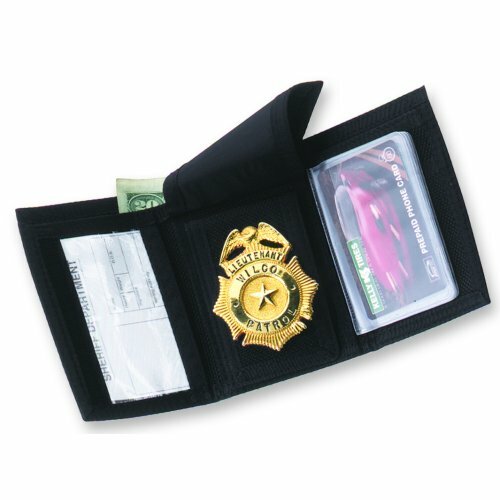 It features badge, ID, money, credit card and photo sections, along with a removable badge section that can be belt-worn. 70000 3" x 3 3/4" 3"